Andrew is a Regulatory Consultant with over 15 years’ experience in chemical regulation, almost 10 of those years concentrating on biocide regulation and the approval of active substances and products under EU legislation, across a broad range of applications. Andrew has a degree in Chemistry, and specialises in the environmental fate and behaviour of chemicals and human and environmental exposure modelling. 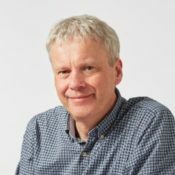 Andrew was elected a Fellow of the Royal Society of Chemistry in 2017.